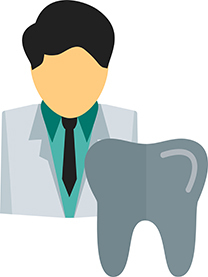 If you are considering Direct Mail Advertising and are looking for postcard marketing ideas for dentist, you have come to the right place. Our Coaches have launched hundreds of bulk mail campaigns and will be happy to collaborate with you. Direct Mail is still one of the most cost effective ways to reach clients and prospects. Everyone gets their mail everyday. However, as with any advertising, you will need to devote some time and resources to your campaign if you want to get the most from it. A Direct Mail Advertising Campaign should start with a consideration of “Reach” (how many) and “Frequency” (how often). So which is more important? Most marketing experts agree that Frequency is the key to a successful campaign. Mailing on a regular basis creates a “Top of Mind” Awareness of your brand. Mailing with regular frequency will require a budget, even if it’s a modest one. Reduce your reach to an amount that accommodates your budget. As time goes on, and your campaign begins to deliver results, you can gradually increase your reach while maintaining frequency. After establishing your reach and frequency plan, it’s time to consider the message. It is the message that will make potential patients respond. When creating a message, remember who you are speaking to: a prospect at home, getting their mail and probably not thinking about their teeth! A long laundry list of services offered is not going to work. Write your message as if you were speaking to one person. Sell just one thing, highlight it, price it right, and describe the benefits. Keeping a mailing list of clients up to date takes work. If you have a substantial list that has not been updated recently, the post office maintains a National Change of Address database that can be used to clean your list. One of our direct mail coaches can explain how it works. Sure appointment reminders are certainly best practice, but getting a Birthday Wish or a Holiday Greeting demonstrates that you care on a different level.